Permanent Crack Repairs : Signature Tennis, Your source for "Country Club" quality products and services for all your tennis court needs. 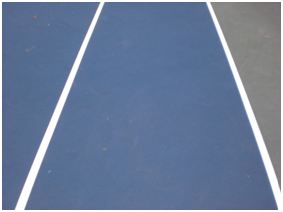 Tired of dealing with tennis court cracks that re-appear every year? 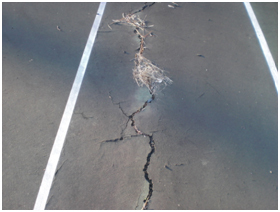 Let Signature Tennis introduce you to “permanent tennis court crack repair system”. We can install a time-tested membrane crack repair system that integrates with the court surface that will eliminate the re-appearance of those cracks. Our membrane tennis court crack repair system has been installed in some of the most prestigious Country Clubs in the Atlanta area. This system meets the discerning demands of the Directors of Tennis at these facilities and moreover has received excellent reviews for reliable playability.